Most takeaways and restaurants offering a delivery or collection service will have an online ordering application. This will usually be a third party app such as Just Eat or Hungryhouse which will incur a percentage commission on each customer order made. CCM EPOS can create your takeaway business its own personalised online ordering app. This will have a secure payment platform ready for your customers to download from the App Store or Google Play in less than a month. 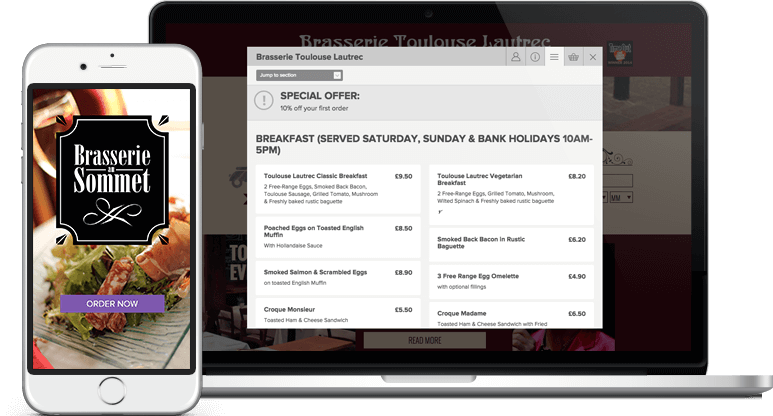 This then gives your business its own branded online ordering app to control and update yourself at no extra charge. Businesses will be able to collect their own customer information with no added commission, just a set monthly fee. Avoid heavy commission fees from third party online app providers such as Just Eat which can be up to 13% with us it will be 0%. Give your customers incentives to come direct to you by offering discounts on collection or delivery. Have access to your own customer details for future marketing campaigns, not available with Just Eat. Have the flexibility to accept or decline an order which may be out of your delivery area. Reinforce your brand identity with your own branded app. Contact CCM EPOS for a demonstration.